Luminaries Light Up the Streets of Sanibel! There is nothing more beautiful than the sun setting in Sanibel, but one way to kick our sunset up a notch is by adding a breathtaking luminary festival to the end of the day! Luminaries are a special way to celebrate the upcoming holiday season and Sanibel is preparing to celebrate their 33rd Annual Luminary Festival on December 7th starting a 5 pm. A luminary is a white, glowing light that is placed with multiple like lights for special events like weddings and holidays. The luminary became popular as a way to bring together local residents, businesses, and tourists to promote holiday cheer and goodwill. “Stroll the Trail,” this holiday season and pick up fun gifts for your family, nosh on delicious holiday-inspired treats, listen to music and visit with Santa Claus on this very fun kick-off to the winter season! They say the best way to travel is to live like a local for a few days — eat the food, lounge on the beach and pick up a little lingo. 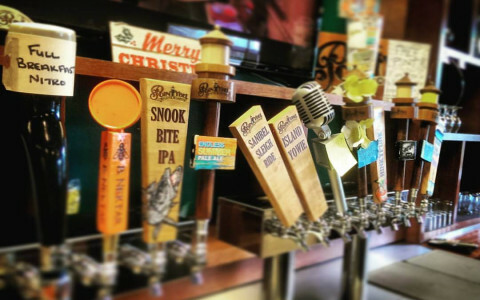 We think another great way to act like a local is to drink the local brews. One of our favorite beer companies happens to have started right here on Sanibel Island -- Point Ybel Brewing Company is the lovechild of Captain Walt and his wife Amy, which started in their lovely Sanibel kitchen. The two were completely fed up with the lack of beer diversity in their community and decided to spice it up a bit. A home-brew kit turned to a four-barrel system that now brews perfectly-crafted beer from Southwest Florida on a daily basis. You can stop by their brewery in downtown Fort Myers or simply pick up the Ybel Brew at almost every restaurant in Sanibel. Support, eat and drink local! A Spook-tacular Stay in Sanibel! As we enter the month of October, we can’t help but be obsessed with all things spooky. Jack-o-lanterns, fall decorations, and sinister stories are all on our agenda this month. 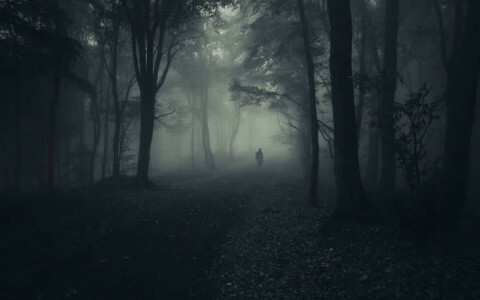 One of our favorite ways to get into the Halloween spirit is by checking out some of the “haunted” places around Southwest Florida. Immerse yourself into the history of this little piece of the world while simultaneously turning up the scary is by taking a True Tour-Historical Walking Tour with Gina Taylor, an award-winning spook-tacular tour guide. She is a Southwest Florida expert when it comes to haunted history. Another a fun place to visit is the Cabbage Key Inn, home to the iconic ‘Cheeseburger in Paradise,’ as well as their very own house ghost. Sanibel Island is rich with history, much that will pique your interest and have your paranormal radars going off. Happy Halloween and stay spooky, Sanibel! Sport fishing is an absolute must when visiting South Florida, and here on Sanibel Island, inshore tarpon fishing is one of our favorite things to do. Sanibel is well-known as the Tarpon Capital of the World, as these majestic fish are plentiful here and can grow to be over 300 pounds! It's said that the very first tarpon caught on a line was right here in our own backyard. Tarpon are really fun to catch and are always in good supply because of the catch & release rule that encourages anglers to release fish that are not ready to be taken from the backwaters. Ask for a local's opinion on the best spots to catch these fish or talk to our concierge about renting a boat — it's also possible to hire a captain and guide to bring you right to tarpon heaven. 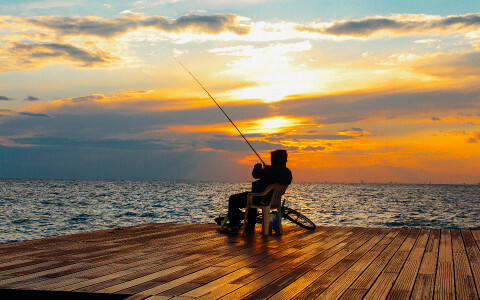 Enjoy a full weekend of fishing during your next trip to Sanibel Island. If the summer season has brought you to Sanibel, make sure you don’t leave until you order yourself a delicious grouper sandwich. The Goliath Grouper is an Atlantic fish that often makes its way over to the Gulf of Mexico and can weight-in at upwards of 300 pounds! 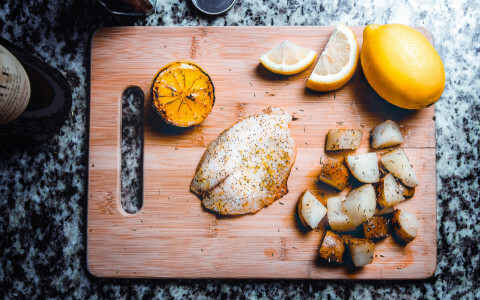 The filet of the grouper is white and mild in flavor, making it the perfect fish for a Sanibel classic. Take one toasted, buttery bun, a fresh filet of grouper, lettuce, tomato, onion and a healthy portion of house-made tartar sauce and you’ve got yourself a true Florida Fish Sandwich. There is nothing quite like chowing down on this staple seaside, with a refreshing mojito to wash it all down. Swing by the lobby and ask our concierge who has the freshest fish on the island, we promise to point you in the right direction! There is no better way to feel the excitement of summer than Fourth of July! Everyone knows it is officially summer when the fireworks are rolled out and everyone is eating food from the grill. Here in Sanibel the Fourth of July is one our most anticipated holidays — we love everything about it here on the island. Get your foot in with all the activities that will be happening this Independence Day. Start your morning with a free pancake breakfast at the Sanibel Community Church and then mosey on over to the annual Fourth of July Parade starting at 9:30 — make sure to get there early to grab good seats — the Parade begins at Tarpon Bay Road and ends at Casa Ybel. 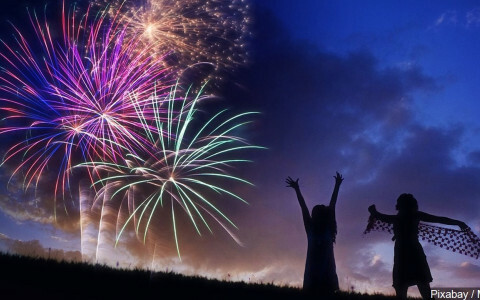 And cap the day off with fireworks on the beach beginning at 9 pm. We hope everyone has a wonderful, safe holiday. Happy Independence Day! 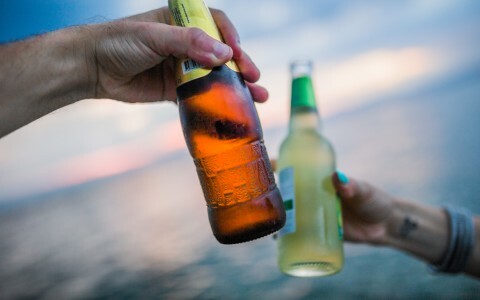 It’s easy to treat your dad to a special Fathers Day while visiting Sanibel — with so many outdoor activities and great cocktails what father wouldn’t be pleased? But if you are not sure exactly what to plan, follow our step-by-step guide, we have already done the hard part for you. Start your morning off with breakfast and mimosas at one of your favorite local joints on the island. Then, take a post-breakfast siesta in one of our many hammocks around the property before getting ready to head out on the water for kayaking, paddle boarding or simply beach going. Make sure you pack a bag of drinks and snacks for your afternoon outing and grab a couple of folding chairs to prepare for Sanibel’s famous sunset. Grab the gang and hit your dad's favorite dinner spot, ending the evening with a nightcap at one of the many lively bars around the island! Summer has finally shown up to the building. 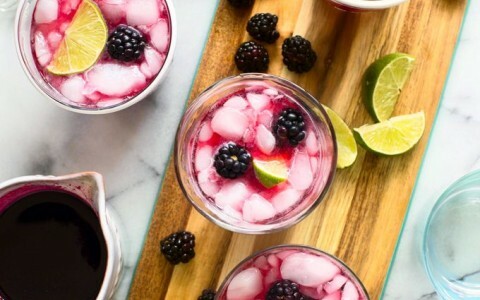 Luckily here in Florida, the weather is gorgeous all year long, but if you have been hiding out from the snow a month longer than normal, it's time that you whip up one of Sanibel’s Signature Cocktails to get the party started! That’s right, we are bringing the essence of sunny Southwest Florida to you with a punch of tropical flavor. It wouldn't be Sanibel island without this local favorite, the classic Mojito. This drink is easy as 1, 2, 3, 4, 5 — that’s because there are only five necessary ingredients that make this cocktail possible. 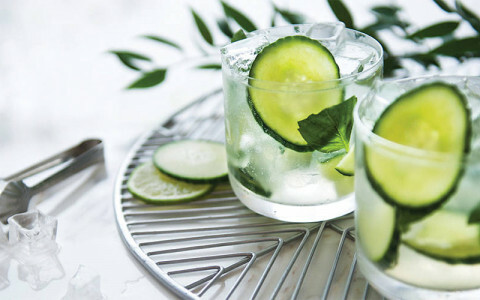 And chances are you have at least three of the ingredients in your pantry already: 2 oz of White Rum and 1 oz of club soda, simple syrup, lime, and mint. Muddle it together and you have the most famous drink of the island. Add a chunk of pineapple and consider sticking your feet in the sand while you sit back and enjoy one of our favorite island-inspired drinks. Living oceanside has a way of taking over your heart and making you love mother nature like she is part of your family. Protecting the sea and bringing awareness to pollution and wildlife protection is a very important part of island life. In April we feel it is particularly important to spread the word about eco-friendly practices because of our favorite holiday, Earth Day. You will free find events all around the island on April 21st and 22nd that celebrate our beloved world. Stop by J.N. "Ding" Darling National Wildlife Refuge for free bike rentals and tours and to learn how to up-cycle items that you may no longer want. Or wake up with the sun and stroll along the beach collecting items that don’t belong there, then pop in to listen to one of the conservationist that will be talking. A love little truly goes a long way. Something spooky has been lurking along the shoreline in Southwest Florida for decades. Since its debut in the 1980’s it has given locals an eerie chill, have you guessed it yet? We are talking about Southwest Floridas infamous Dome Homes. For years, people cruising along the shores of Marco Island have wondered about the vacant round structures that sat like ghosts above the water. Rumors of cults and aliens flooded the walls of the Dome Homes, but in the last few years the truth has come out, and it happens to be quite sweet. The construction of these secluded homes were built on the behalf of independent oil producer Bob Lee as a vacation home for his family and friends. 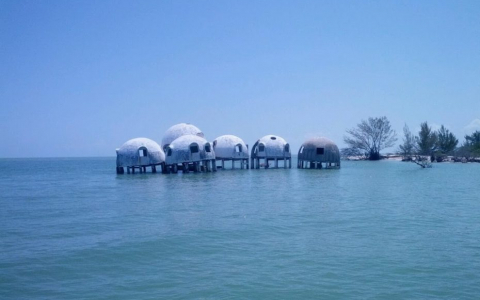 There was nothing but smiles and laughter happening along the waves for many years — as the sea levels began to rise there was less and less reason to visit the Dome Homes, which is why now these eerie pieces of property sit vacant in the Gulf of Mexico. Come cruise by and see them for yourself! Look Out for Lees Reefs! Support a local nonprofit on your next visit to Sanibel by diving deep and checking out the artificial reefs created by Lee Reefs. These marine good guys have created multiple environments all over the coast of Sanibel and Captiva for over 250 different species of reef fish to thrive while in deep sea conditions. 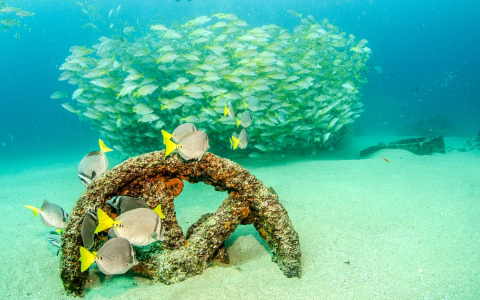 The coordinates of each artificial reef are clearly marked on their website, along with historical shipwrecks, reef rules, and ocean etiquette to keep their coral and fish healthy and thriving! Lee Reefs uses many different materials to create their unique reefs. One of the most notable resources used was the USS Mohawk, which was sailed in from Key West in May of 2012, to create the Veterans Reef. Hire an expert to take you to Lee’s plots or take yourself on an adventure — either way you’ll be swimming alongside the sea creatures in no time! If catching sight of a dolphin is on your bucket list, then you have come to the right place! You don’t need to hop on a tour to catch sight of these majestic creatures, just follow our DIY list to get a sneak peak of the Sanibel Dolphins. 1. Grab your coffee and hit the beach early. The earlier you are out on the shoreline, the better. These frisky little sea mammals love a good sunrise and can be caught cruising the waters extremely close to the beach. 2. Rent a kayak and hit the shallow waters to see if you can spot a pod nearby — a perfect mix for the active sight seer! 3. Find the fish. Dolphins are avid hunters and love to eat plentiful amounts of fish throughout the day. Certain areas are more heavily populated with the tiny fish that they enjoy munching on. Look around near Lighthouse Point, Blinds Pass, and local boardwalks to see if you can spot a feeding frenzy. 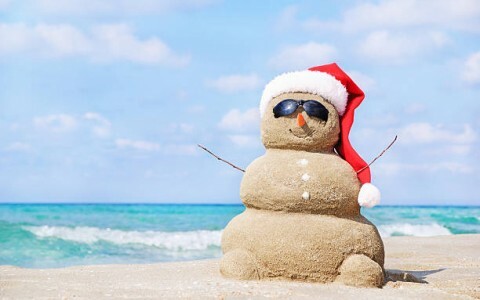 Sanibel celebrates the holidays just like every other city, we just like to put a touch of island into things. Come cruise along the ocean for Santa’s Dolphin and Wildlife Cruise this December 24th. It is a great way to give your farewells to Old Saint Nick with the kids in hand, as he prepares for a night of gift giving to all the good little boys and girls of Southwest Florida. Sneak a photo in with the jolly guy in the red suit and hop on the open airboat to spot another beloved Florida native. It cannot be described as anything short of a morning full of magic — watch the bottlenose dolphins flip and frolic around the boat with ease. 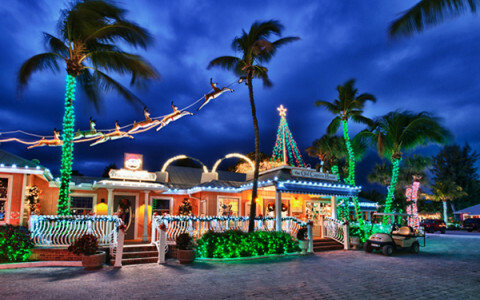 If you like a more colorful experience try out the Christmas Eve Sunset Cruise instead, there will be no shortage of eggnog — it will surely be a Christmas Eve for the books! The island of Sanibel has been buzzing since the early 1800’s — the settlers that first discovered Sanibel thought their barrier island was so special that more people needed to know about it. The only conclusion... to build a lighthouse! 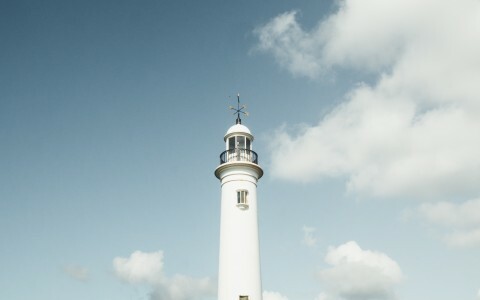 The lighthouse would not only warn passing ships of the shallow little island, but also to try and attract them to their island oasis along their journey. Built in 1884, this amazing landmark is still visited to this day. Take an up-close peek at this historic structure and spend a little time learning about our beloved Sanibel. Roam the east end of the island and watch the fishermen bring in their catches, or pack a picnic lunch and shell along the beach while watching all the beautiful boats cruise across the Gulf shore. 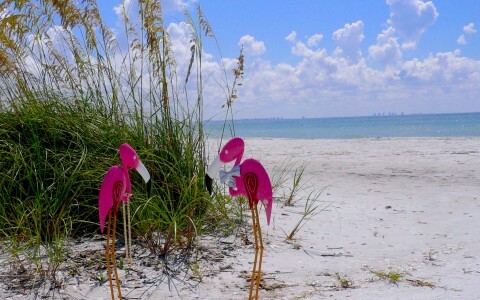 Sanibel Island is full of so many simple treasures — be sure to add this one to your list. Turtles are among some of the oldest creatures to still walk our earth today — and since May, Loggerhead turtles have been busy burying their eggs along the coast of Sanibel. 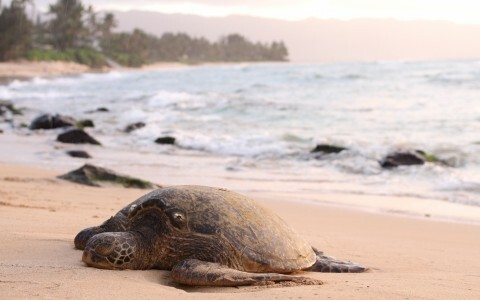 While it maybe difficult to spot one of these majestic creatures on the beach, there is no doubt that you may come across a few of the tracks or nests. Here are a few tips to follow during nesting season: 1. When the baby turtles hatch, their first instinct is to follow the bright light of the moon that reflects off of the Gulf of Mexico. Make sure to turn off any lights that could potentially confuse these little guys. 2. Be sure to fill in any holes and remove any obstacles that you may have created during your day at the beach. 3. Last but not least, please stay clear of the nesting areas, and if you are so lucky to spot a hatchling, try to be as unobtrusive as possible. And with that, Happy Hatchling Season! A day at the beach shouldn’t be too hard. 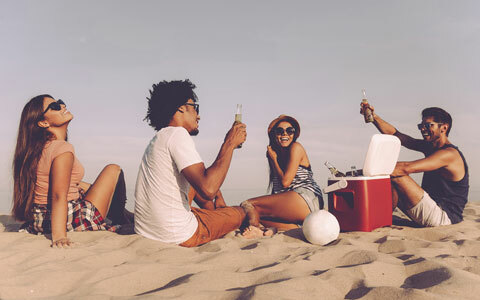 As the weather gets cooler the island gets more populated — be sure to claim your spot in the sand early and come prepared for a day in the sun. 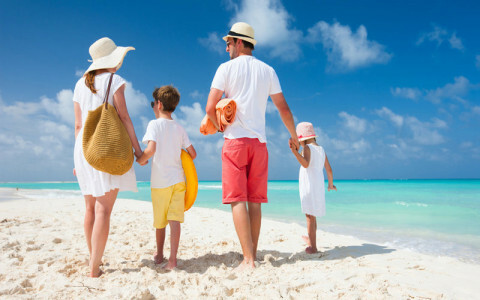 Follow Sanibel Island Beach Resort’s fail proof guide to help you pack your beach cooler! Step 1: Pack all your drinks — water, wine and beer are a few of the essentials. These should go at the bottom of your cooler to stay extra cold and because they are the heaviest items. Step 2: Grab your favorite sandwiches, picnic salads, fruit or any other easy to pack foods that make the list as your favorite. These items should go in the middle of your cooler right above the drinks. Step 3: Sneak in your favorite chip dips and flavors or any other snacks you must have for a day at the beach! Seal up your cooler and be on your way! 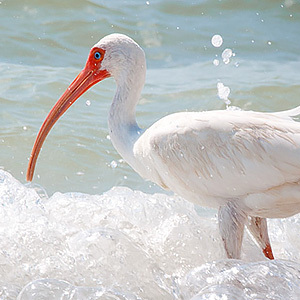 Wildlife in Sanibel is certainly not described as sparse — in almost any direction you turn you will see a bird overhead or a fish jumping. It is true that Florida is known for its sea life, but a secret creature lurks behind the shadows in the daytime. 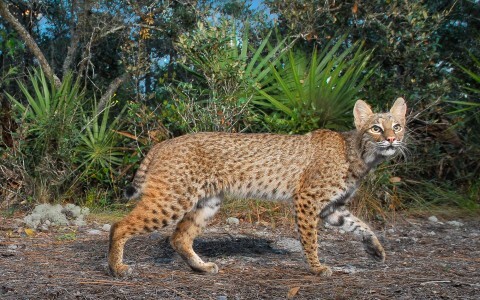 The Lynx Rufus, more commonly known as the Bobcat, is a Sanibel local and extremely stealthy. Like most locals, it is his mission to stay under the radar, making him pretty hard to spot. The Lynx moves mostly at night and can be seen prowling in the early morning hours when the sun is kissing the shore, making his way back to his den for a morning slumber. These wild cats are a beautiful site, with brown or beige fur complete with spots, pointed ears and a bobbed tail — ironically getting its name as the Bobcat. Take an early morning stroll and see if you are lucky enough to encounter this shy Florida native. 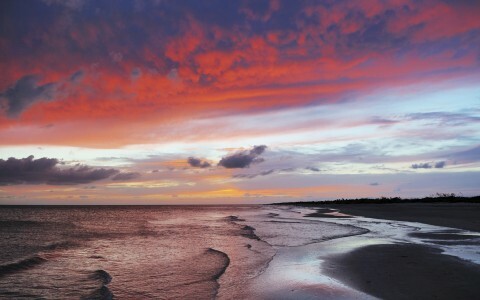 Sanibel is most accurately known for its surplus of beautiful shells, crystal clear water and its colorful sunsets. But what do you do if it is your first Sanibel sunset? 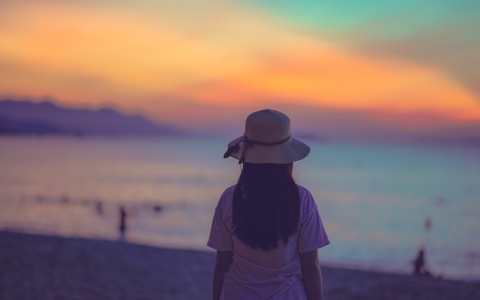 Not to worry, we have set up the ultimate sunset checklist so you won't forget a thing! First things first, the best way to enjoy watching the sun go down is by making yourself completely comfortable. Be sure to grab a couple of lightweight beach chairs and a few blankets or towels to set yourself right up on the beach perfectly. Next, you will want to make sure you bring a light snack and possibly something to sip to make the mood just right. A pair on sunglasses are necessary for right before the sun goes down, and of course a camera to capture all the beautiful moments with your favorite people! In Sanibel there is only one way to take on the summer heat and it is waiting for you at the tiki bar, pool side just a few steps from your hotel room. The Florida sun is the best part about Sanibel and it only gets better the longer you play outside. Our tiki bar has lunch daily from 11-5 and a free flowing cocktail menu until the sun decides to go to sleep. Some days are just meant for lounging and catching up on your tan lines with absolutely no plans on the agenda — in our opinion that is the true definition of vacation vibes! Set yourself up pretty on one of our lounge chairs and enjoy the day with absolutely no worries. 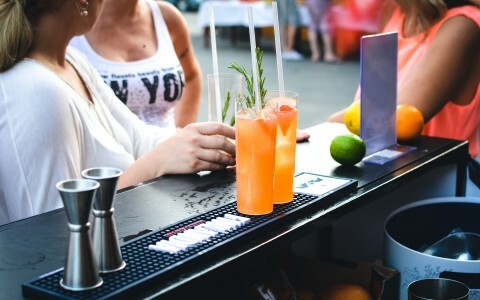 Take on the summer weather with a frozen daiquiri or a refreshing mojito in hand and get your relax on. It is no secret that your time spent in Sanibel should be spent outside, the island is so full of life and tons of beautiful nature to explore. In our opinion, the best way to get a thorough tour is by bike. The island is lined with trails that will take you from the beach to “Ding” Darling nature park, swing by the lighthouse, and drop you off at any of the bars that sit seaside, all before sunset. Along any of the countless trails throughout the island, you are bound to pass by other bikers hoping to get a peek of the gorgeous mansions that sit along the white sandy beaches. Beware — the Florida sun is nothing to mess with, so be sure to pack lots of water and sunscreen to keep hydrated and cool during your ride through the island. 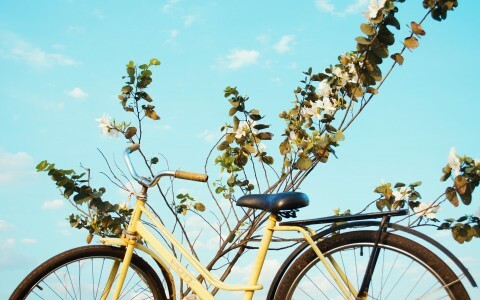 The only requirements for a perfect day are you, a bike, and sweet sunny Sanibel. Breathing in sweet fresh air and listening to the sounds of the beautiful songs, sung by the birds above, is a great way to spend your day on Sanibel Island. You can get into the birder spirit almost anywhere on the island. 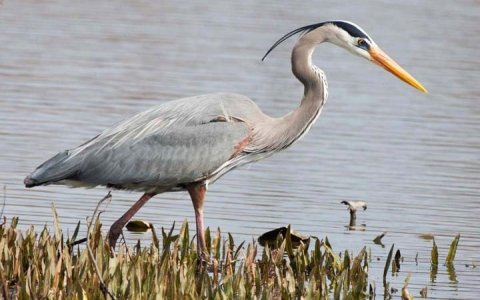 Florida is a nesting ground for all types of species because of the warm, wet environment. 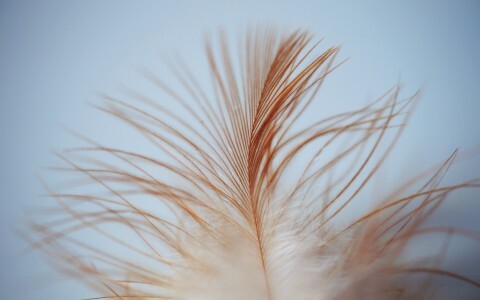 While sunbathing keep an eye out for delicate, white birds called Egrets that roam the sandy floor for crustaceans and dive into the shallow waters in search of small fish. An array of colorful feathers are sure to follow a Roseate Spoonbill sighting; you can find them wading their way through the water in search of food with their long bills. If you are looking for an adventure away from the sandy shores, Sanibel is loaded with walking trails among the wetlands that are perfect for a sunset escapade. Grab your crew, flip flops, and a pair of binoculars, and you are set up for a perfect Florida day. There is nothing more beautiful than the sunsetting in Sanibel, but one way to kick our sunset up a notch is by adding a breathtaking luminary festival to the end of the day! Sign up to be a Sanibel Island Beach Resort Insider, and receive receive property promotions and news, including: offers, flash sales, property communication, and events.